A wood burning fireplace is an appealing feature in many homes. Regardless of what type of fireplace you have, it is very important to use a fireplace safely and provide all of the necessary maintenance. 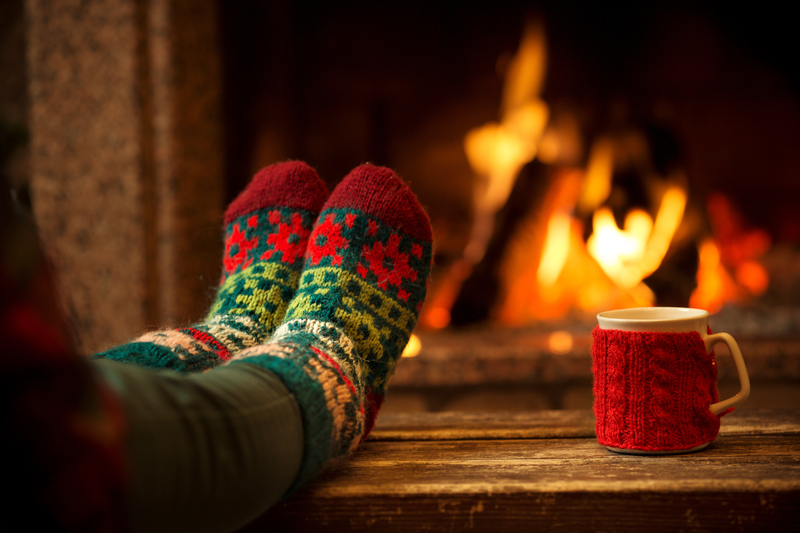 Here are some reminders and tips for keeping safe and getting full enjoyment from your fireplace this winter season. You should have your fireplace and chimney inspected and cleaned by a professional to ensure that it is obstruction free from tree branches and bird nests, as well clear of creosote. Creosote is a black, oily substance that can build up on the inside walls of the chimney. Creosote is extremely combustible, therefore if you are unaware of a thick accumulation and you could put your home at risk of a major fire. You should be using dry, well-seasoned hardwoods in your fireplace. Make sure you avoid using pine and other oily woods because they do not burn cleanly. If you choose to use manufactured logs, do not mix them with real wood to avoid the possibility of flare-ups. Clear the hearth of debris, decorations, and flammable materials. Use a metal mesh screen that covers the opening, whether you have glass fireplace doors or not. Make sure you leave the glass doors open while a fire is burning to guarantee ventilation and airflow. During period of heavy use, clean out the firebox regularly once the embers are cold. Leave about an inch of ash because it acts as insulation, allowing coals to heat faster and retain heat longer. Never use a vacuum to clean up fresh ashes, as embers can smolder for as long as several days after the fire is out, creating a real fire hazard. Check that vents are unobstructed and able to do their job. If you have a fireplace fan, keep it clean. In non-wood burning fireplaces, clean and adjust glowing embers and logs for best appearance. Installing a cap at the top of your chimney will help prevent water damage, keep debris from blocking the opening and deter animals from entering. A spark arrestor will prevent live embers from escaping the chimney and landing on your roof or other buildings. Before you leave the house or go to bed, make sure the fire is completely out; never leave a fire unattended.